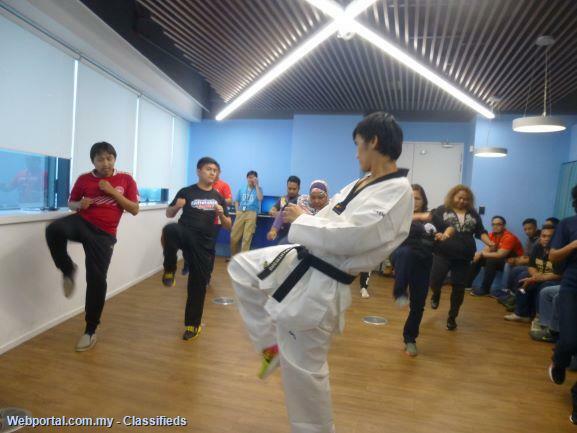 If you’re looking for a great way to build a sense of community at your workplace, corporate classes at Mr Taekwondo is the right programme for you and your company! We organise corporate fitness events and self-defense classes that serve as a team building exercise and even come to your venue to make it as easy as possible. We able to organise a short term (2 months) training programme for your employees at your workplace. Don’t be hesitate to contact us for further information. Or email us at yian1983@yahoo.com. Our gym at No. 7-3, Jalan Puteri 2/2, Bandar Puteri Puchong, 47100 Puchong, Selangor.